Having a hard time finding your kitchen? Don’t know what to do with it once you find it? This e-book can help! Get your kitchen organized and functional (get it? funky…functional) once and for all! Let this e-book inspire you to clean off your countertops, clean out your fridge, pantry and cabinets so that you can be more efficient with your time and energy in your kitchen. 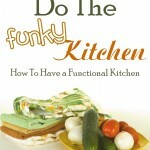 Full of practical ideas so that you too can “Do the Funky Kitchen.” A fun read! Want the Kindle Edition? Grab it on Amazon! Visit the Heavenly Homemakers Shop for more great eBooks! why would it be that I cannot download (eg the menu planners)? They seem to be simple pdf files, but I get a new screen opening, and it just stays blank. Is there some program I need to download? If you have adobe acrobat reader, it should work. I downloaded this just now on my tablet pc but it couldn’t open the file. Can I download again the file when I am on my PC or can you email me a link to download? This is totally in my budget!!! Thanks so much! Yay! I finally got to be one of the first 100 on something! Cool book too! Love the title! Thanks, Laura! This is a great little book! And — Funky Fresh Kitchen fun! :D What a great motivator and encouragement! I wasn’t one of the first 100, but all I get is the price of $4.95. You said that the price would creep up slowly throughout the week…dowe need another code? “funky” states it is invalid? Aw darn…missed the $1.00 & $1.50 offer, but that’s OK…$4.95 is definitely in my budget!! Thanks so much for offering your EBooks at such an affordable price. The $1.50 offer is still good – I just set it up! Oh, so let me know if the coupon code (FUNKY2) is giving you trouble! Forgot to add the coupon, but that’s just fine!!! I have the book!!! 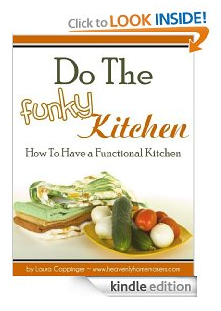 Thanks for the deal on the Funky Kitchen ebook. I am sure it will help me get organized. Thank you for offering the Funky Kitchen at such a great price, I’m looking forward to reading it and getting my kitchen more organized. Woohoo!! :O) Thank you for the great deal! Trying to purchase this, unfortunately we cannot access PayPal from this country. So disappointed…. Please let us know of alternative ordering methods. I am excited to read this. I can use some kitchen organization improvements. Looking forward to reading it! Thx!! Can you give a little more description about the content of this book? 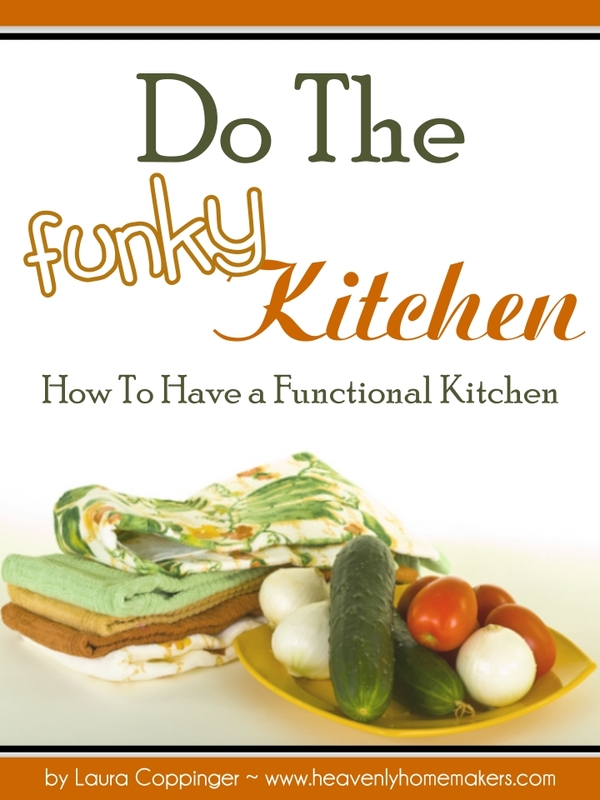 How does it differ from your Funky Kitchen series on your blog? It’s actually quite different from the series on my blog. In the book, I detail specifics about how to organize and clear out your cabinets, countertops, and pantry. I also give suggestions as to what I feel is important to have in a real food kitchen (gadgets and appliances). Hope that helps!